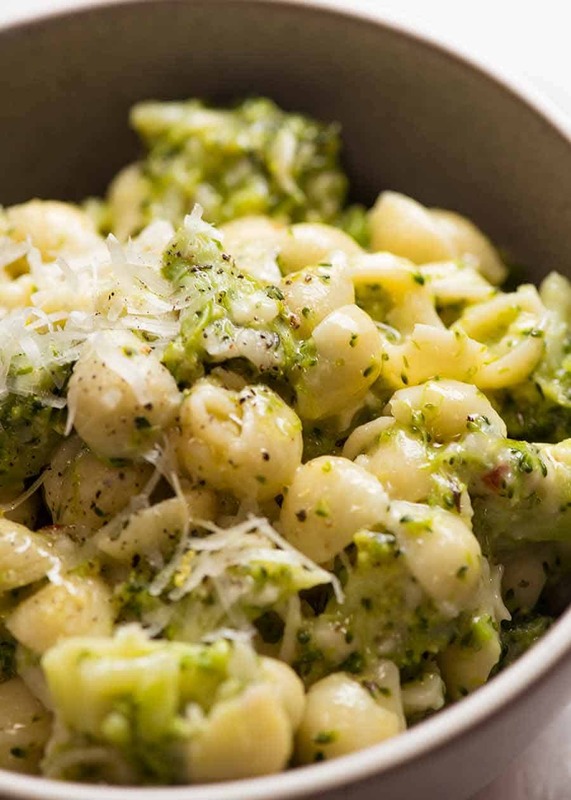 Who knew you could make something so tasty with broccoli, pasta and not much else?? 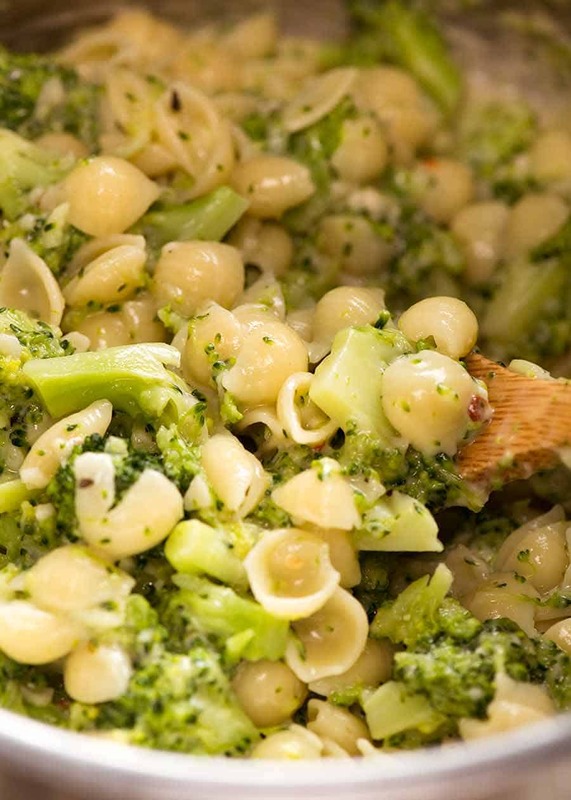 Broccoli pasta is a little bit lemony, a little bit cheesy and a whole lot of yum. 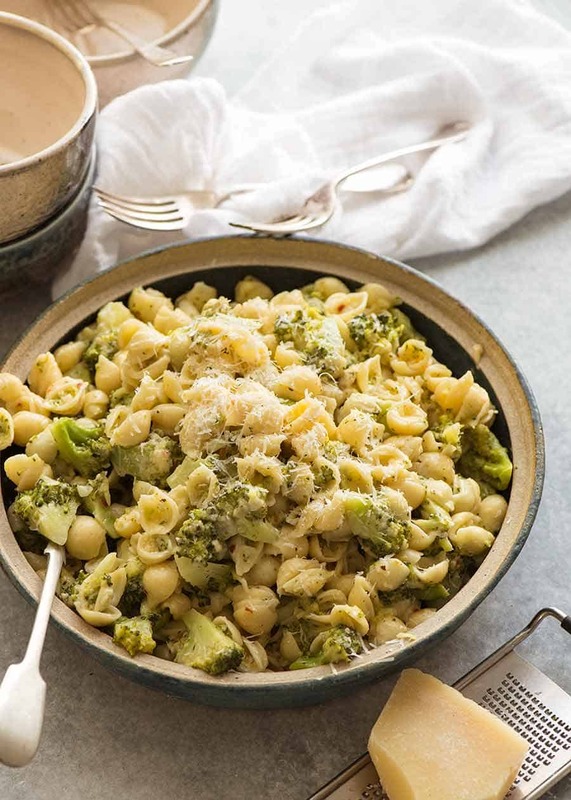 Emergency quick dinner idea or a 2-in-1 veg and carb side dish, the broccoli is cooked with the pasta then stirred vigorously with sauce to make it juicy and saucy. Add this to your arsenal of broccoli recipes – this one is a keeper! it’s a mad house and you just need to get dinner on the table, stat! you want to hide a LOT of broccoli in something that everyone will love. There’s 2 whole heads in this – but it definitely doesn’t seem like it! you’re after a quick side dish to serve with that charcoal chook you picked up enroute home, the sticky chicken thighs or crispy pan fried fish you’re making, those marinated pork chops or the garlic butter mushrooms you’re roasting in the oven. It’s also what you make when you’re a food blogger who can’t resist a bargain and “accidentally” brought home SIX heads of broccoli…..
broccoli – TWO BIG HEADS! 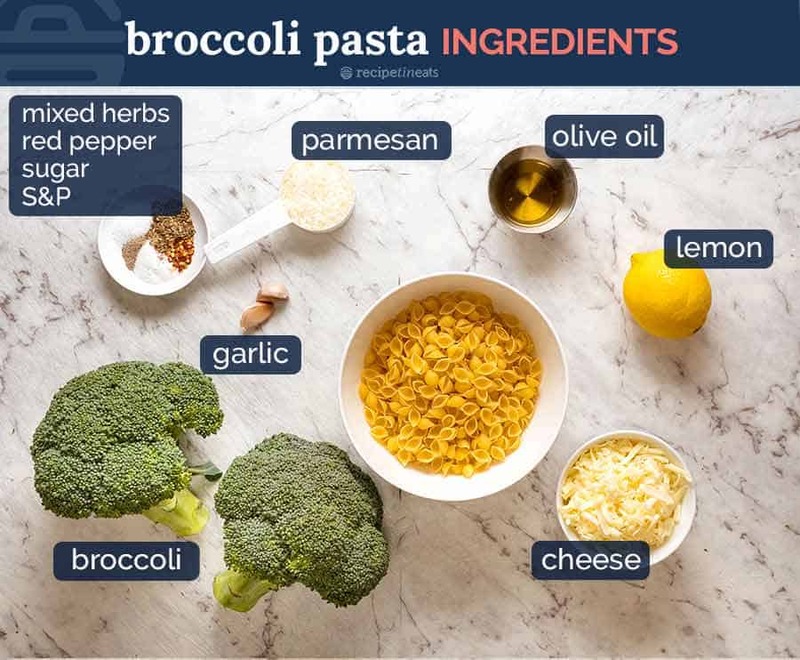 So even if you have just the above 4 ingredients, your broccoli pasta is still going to be very tasty – everything else I use is a flavour bonus! I love using lemon in this recipe – but it’s optional. It’s not a strong tangy lemon flavour, it’s in the background and helps create more sauce to toss through the pasta without adding tons of oil. This is not a Jamie Oliver 15 Minute Meals type recipe where you use every appliance, pot and pan in your kitchen and it’s a whirlwind of frantic chaos for 15 30 minutes then you spend a good 40 minutes cleaning up afterwards. Scoop out some pasta cooking water <– KEY STEP! This is how we make plenty of sauce without using tons of oil! Toss the pasta, sauce, water and cheese until it’s nice and juicy. Then DEVOUR!! I always struggle to capture how juicy pastas like this are – when the sauce is clear rather than bright red and meaty like Bolognese. If you’re not convinced with the photos, watch the quick recipe video below! I haven’t loaded this Broccoli Pasta with tons of cheese. I use it more to create the sauce, rather than making this a really cheesy pasta. Also an attempt to keep the calorie count to a respectable level for a big bowl. However, this Cheese-Loving Carb Monster will certainly not judge if you choose to be (way) more generous with the cheese. I’m a big fan of broccoli so I’ve shared quite a few recipes. Love the flavour, how versatile it is and it’s good for you! Chicken broccoli rice casserole – tastes like a cheesy risotto, but so much easier to make! Recipe video above. This is a great emergency meal OR carb + veg side for all those times when your cupboards are bare except for broccoli, pasta, and some kind of cheese. It’s saucy without using tons of oil, and there’s loads of sub options. 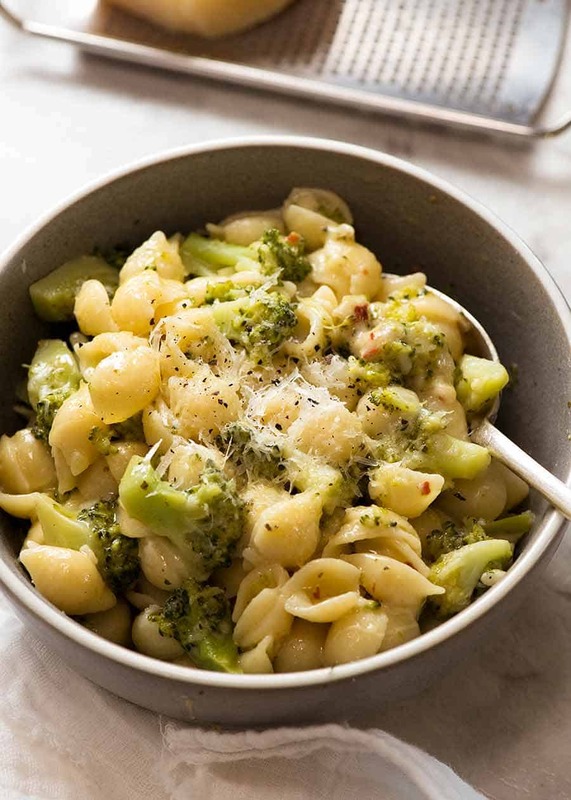 Quick and utterly scrumptious – loaded with tons of broccoli! Boil a large pot of water with 2 tsp salt, add pasta. Place Sauce ingredients in a jar with lid. 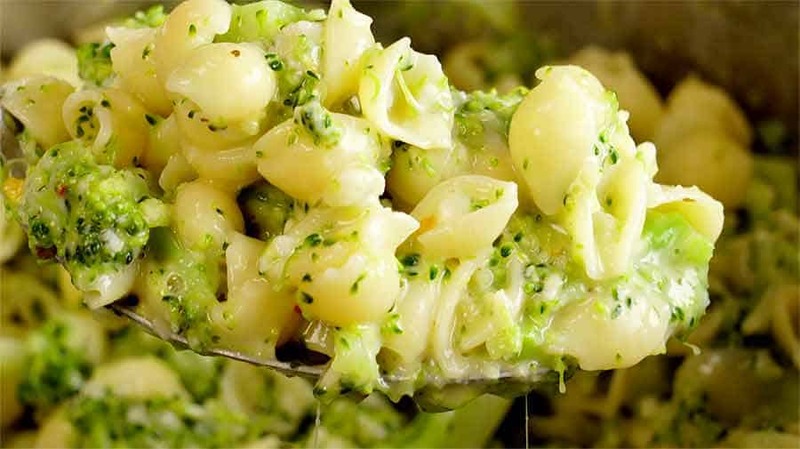 Add broccoli into water 1 – 2 minutes before pasta is cooked. SCOOP OUT 1 cup pasta cooking water. Add 1/2 cup pasta water to Pasta Sauce jar, shake. Drain pasta and broccoli, put back into same pot on turned off stove. Pour over Sauce, add cheese. Stir vigorously, adding more pasta water if required. Add more salt and pepper if required. Serve immediately, garnished with parmesan. This recipe will serve 4 as a main or 6 to 8 as a side. To scale recipe, click Servings and slide. Pasta – any short pasta is fine here, macaroni/elbow, twirls, penne, ziti, orecchiette etc. 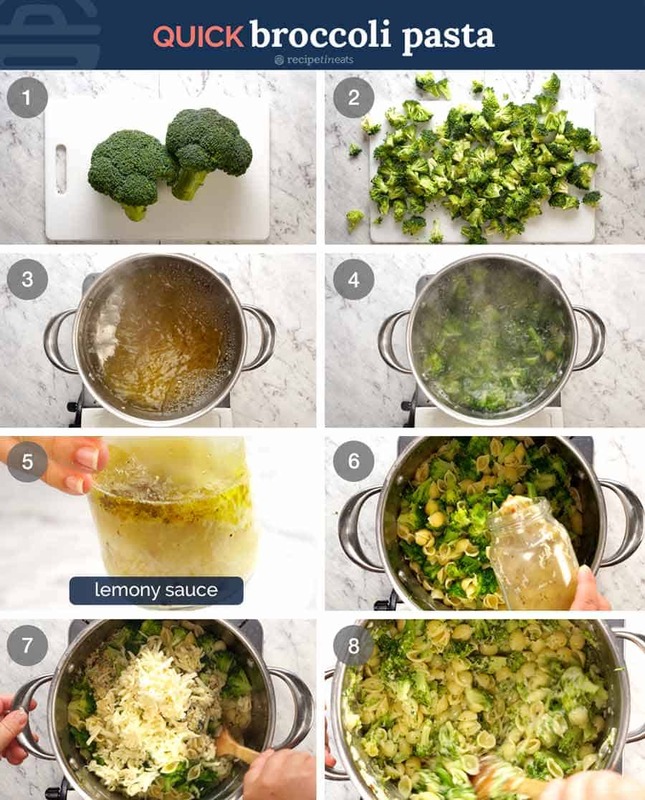 Broccoli – this dish can take loads of broccoli, and still worth making even if you’re a bit short (or scale recipe down – click on servings and slide). Cheese – any melting cheese fine here, preferably flavoured like cheddar, Monterey Jack, tasty, gruyere, Swiss. Mozzarella also fine but you’ll probably need more salt. Lemon – not intended to be a full on lemon pasta, but the subtle tang and hint of lemon is terrific. Feel free to jack up the lemon flavour. Subs: 1.5 tbsp more oil or a mild vinegar like white wine vinegar, champagne vinegar, even rice wine. Garlic – could stir through green onions instead, or add 1/2 tsp garlic or onion powder into Sauce. OR finely grate any onion and add 2 tbsp it into dressing (juices and all). Nutrition per serving as a main (4 servings). Dozer on the RIGHT side of the counter at Pet-O today! I swear that place is Disney Land for dogs. 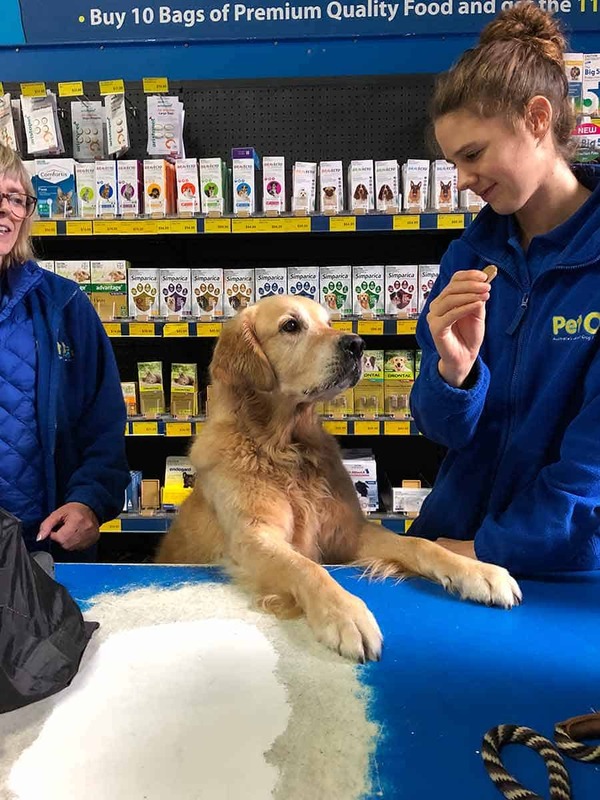 He gets lavished with attention by everyone who works there, sooo many treats, then he runs around like a loon in the warehouse, grabbing toys and treats off the shelves, leaving me with no option other than to buy them. I grumble and complain every time I spend way more than intended, and yet the thought of leaving him behind never crosses my mind (and the one time I had to, the staff were very concerned about his well being!). 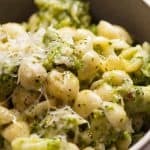 The post Really Quick Broccoli Pasta appeared first on RecipeTin Eats.